As a responsible homeowner, you want to do whatever is necessary for the proper upkeep and maintenance of your home. Given our winter weather in Toronto, it is important to have exterior painters come to your home every few years to redo the exterior paint. Not only does exterior paint help the exterior of your home to look beautiful, but it also serves as a protection for your home against the elements. This can be essential in Toronto given the wind, snow, and rain that your home is undoubtedly exposed to. When it is time to paint the exterior of your home, your best bet is to call in professional Toronto exterior painters who have the appropriate equipment to do the job right. What with ladders, extensions, and sprayers, it is simply not cost-effective to try to do an exterior paint job on your own, especially when professional painters are so readily available in the Toronto area and they can do a much better job than most individuals could ever hope to do by themselves. Call the professional Toronto exterior painters at Renaissance Painters when it’s time to paint the exterior of your home to get a beautiful result from professional painters who not only have the equipment to get the job done correctly, but the desire to provide you with the most beautiful job possible. Renaissance Painters aims to offer you complete, 100% satisfaction and to exceed your expectations with every project for which they are hired. If you need Toronto exterior painters, Renaissance Painters will exceed all of your expectations with their excellent work and commitment to artistry. In addition to responding to all of your painting needs, Renaissance Painters also offers a variety of other services, including stair refinishing, kitchen remodeling, stucco repair and kitchen cabinet refinishing to our customers in the Toronto area. 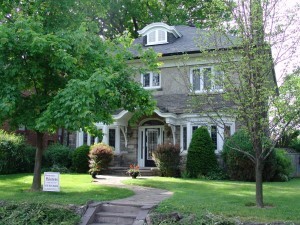 For more information or to obtain a free quote, call 416.618.0400 or reach us on the web at www.renaissancepainters.ca. We look forward to hearing from you.